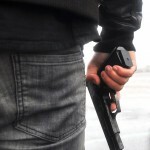 Violent crimes, be it physical and sexual assault, robbery or homicide, unfortunately are still common in any society. From an economic point of view, being a victim to a violent crime imposes significant direct monetary costs (through forgone wages and medical care) and intangible indirect costs associated with pain, psychological distress, and a decrease in quality of life. These indirect costs are potentially severe and occurring for a long period. Still, putting a number on these costs is methodologically challenging. David W. Johnston, Michael A. Shields and Agne Suziedelyte of Monash University, Melbourne, attempt to estimate the impact of violent crime victimization on well-being and to calculate the amount of required compensation. Using Australian survey data, they compare individuals before and after they experienced a violent crime and observe how the victimization is related to drops in self-reported satisfaction with one’s life. Comparing this drop in life satisfaction with correlations between income and life satisfaction then allows the authors to come up with a monetary valuation of being victimized. Their results indicate an average drop in life satisfaction that is equivalent to a loss of AUD 88,000 (roughly equivalent to USD 62,000 or EUR 55,000). This loss in life satisfaction is larger for women than for men and works through health issues, dissatisfaction with domestic relationships, safety concerns about one’s neighborhood. These results are of high interest both from a public and a legal perspective. Gaining reliable estimates of compensation is also important for the economic evaluation of social programs aimed at reducing crime, and allows judges, jury members or tribunals to orientate compensations for violent crimes on evidence-based guidelines. Steering more students into STEM?